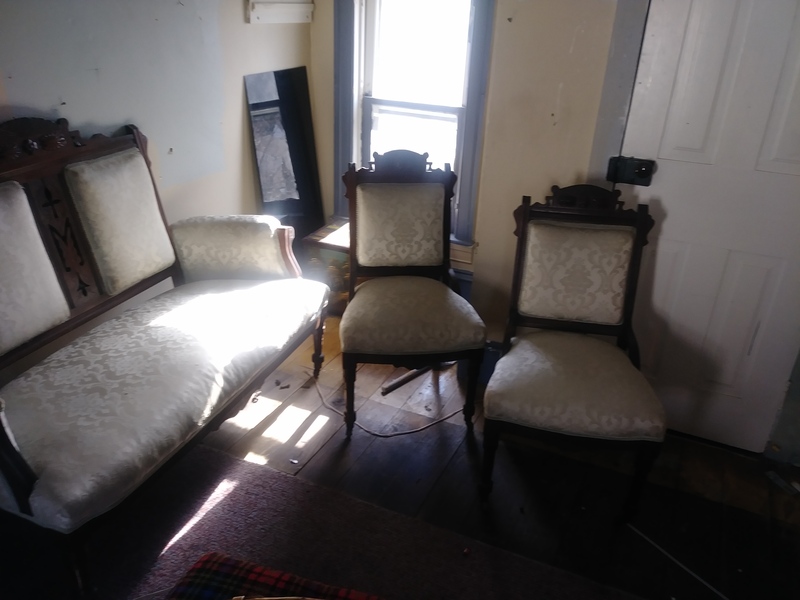 Three piece set...beautiful sofa or loveseat with two matching chairs. 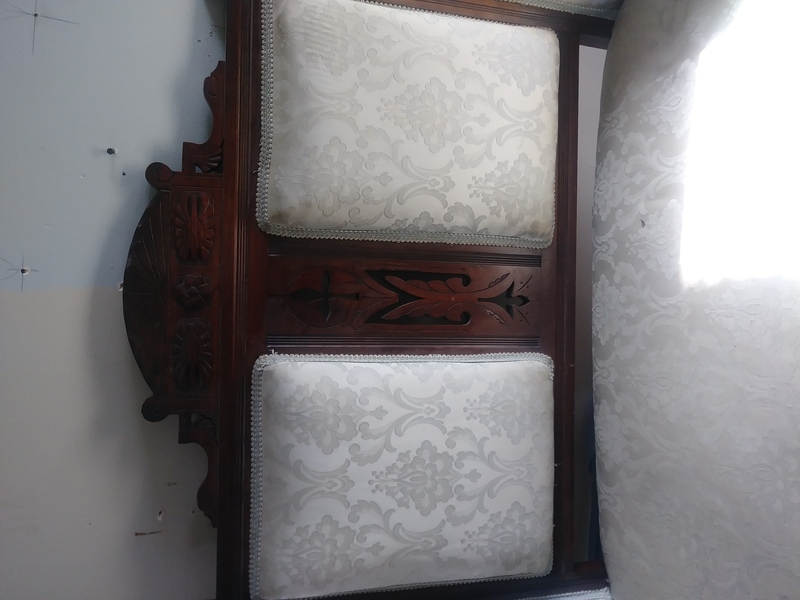 I believe it was reupholstered. The original fabric is there. New fabric has tears. Has beautiful wood work. 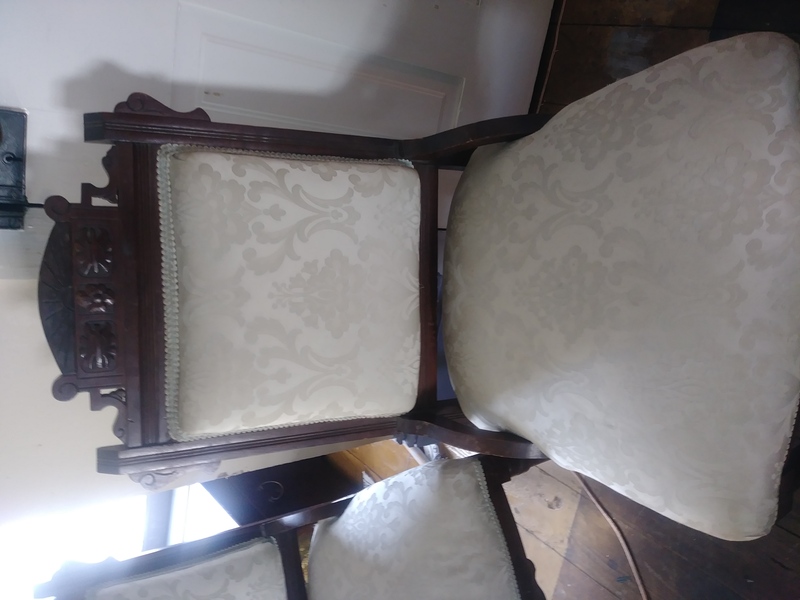 All wood work and both chairs in great condition. 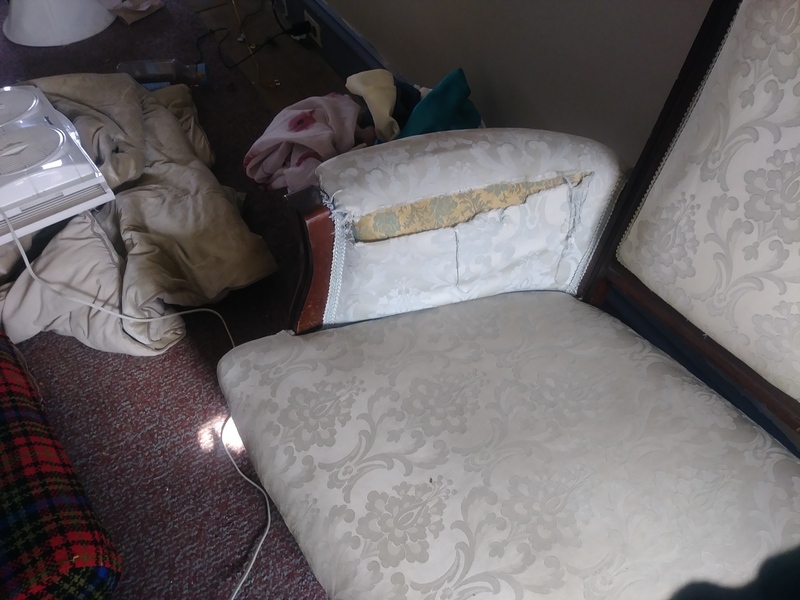 These were left behind by a tenant. Looking to see if they have any value.